With the new 46.3mm Tourbillon Amadéo Fleurier Virtuoso IX, Bovet again creates a complex tourbillon movement with a host of functions in the convertible Amadeo case. 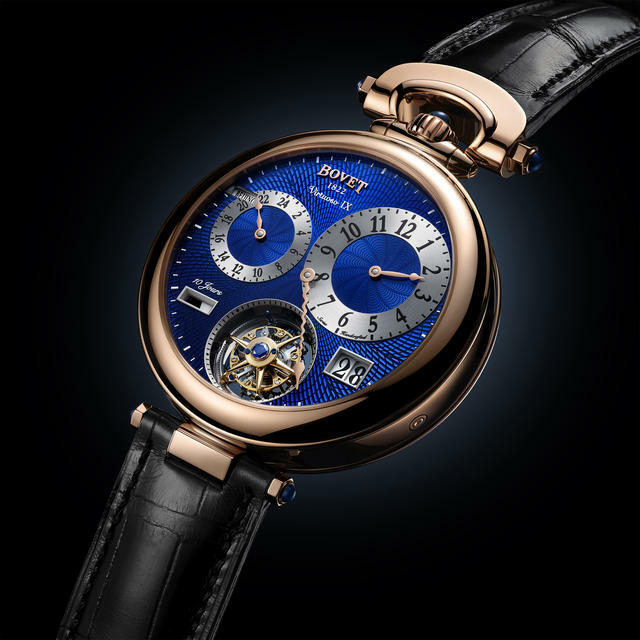 At its return to SIHH this year (Bovet was an exhibitor at the SIHH in the show’s early years), this maker of complicated, innovative timekeepers again displays its deep technical know with highly polished flair. This watch offers (take a deep breath) off-centered hours indication, a central minutes hand, seconds (on the tourbillon), big date, power reserve indicator, second time zone with 24-hour hand and 24-city disc. And all this is nicely proportioned with a stunning blue flinqué dial. 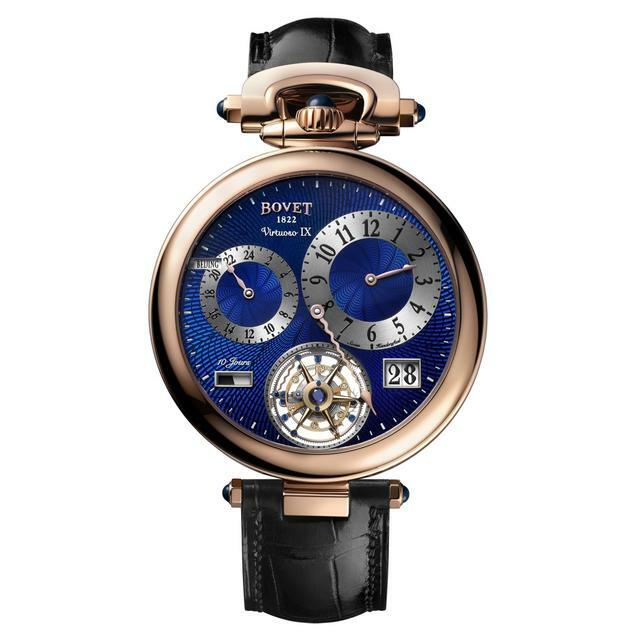 Bovet explains that to create this dial, its artisans first guilloche the base material with a fan motif. Eight layers of translucent lacquer are then applied before the surface of the dial is polished. The timepiece also boasts an entirely new look on its reverse side. 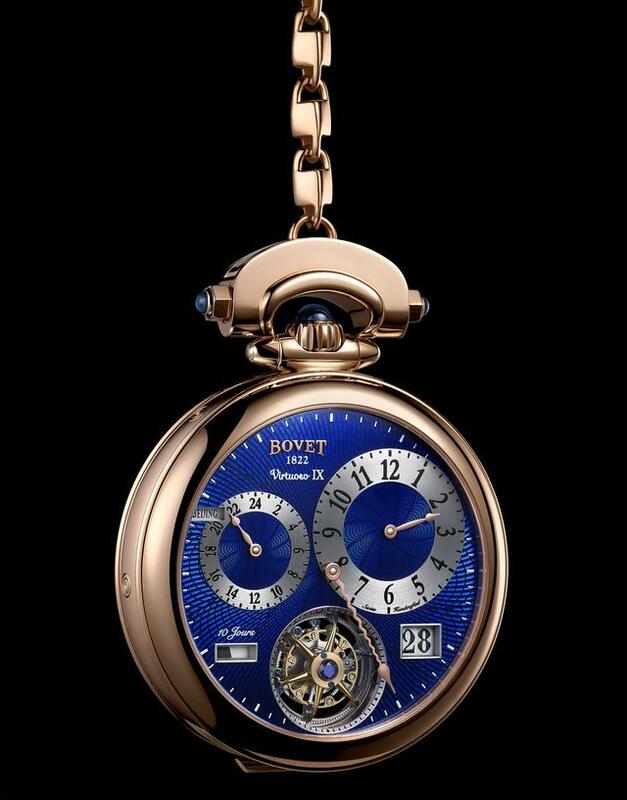 With no true dial, Bovet nonetheless places hours and minutes hands centered directly over the movement. 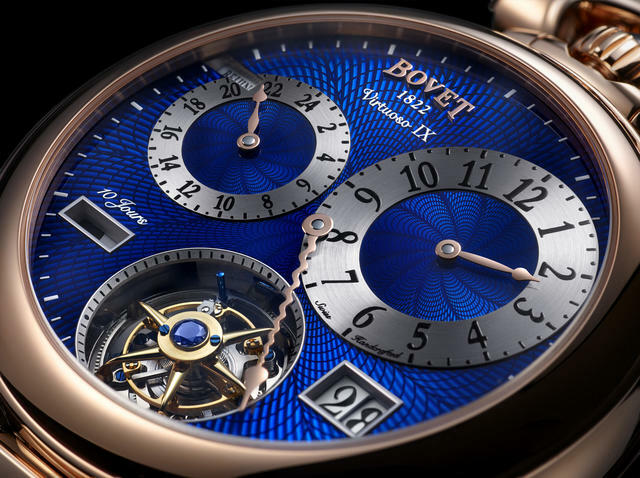 Bovet creates openwork bridges meant to evoke the architecture of 19th century Bovet movements, with each surface engraved with a sparkling "bris de verre" motif. Once engraved, chamfered, and entirely decorated, the bridges are coated with a blue CVD treatment, which contrasts beautifully with the rhodium plated platinum. The all-new caliber 17BM04-DFR generates ten-day power reserve wound quickly thanks to a twice-patented spherical differential winding system. 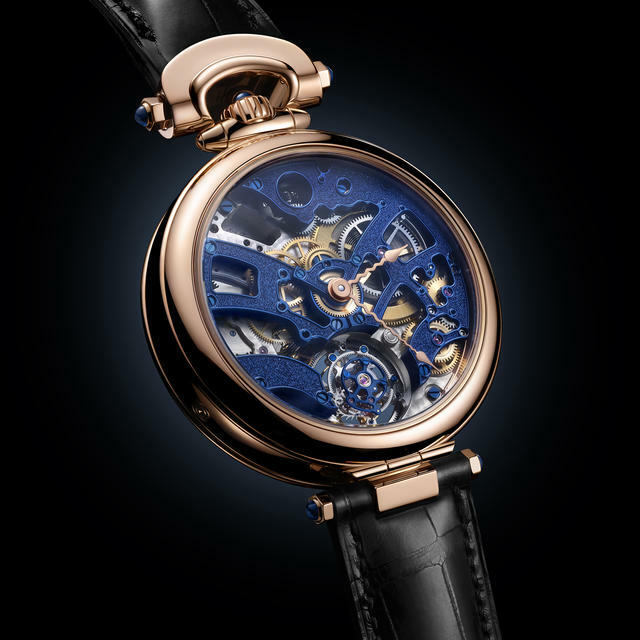 In all, four patents are represented here: the Bovet Amadeo Convertible case, a spherical winding system, a three-dimensional tooth profile with multiple gearing and its double-sided tourbillon. 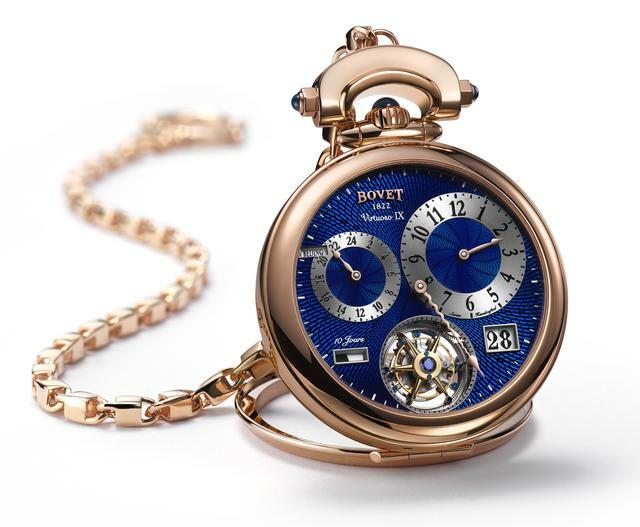 Bovet makes this watch with a red gold, white gold or platinum case. Prices upon request.